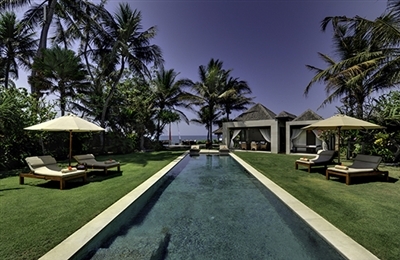 We found Villa Kipi to be a modern, practical villa in an excellent close-to-the-beach location. We thought that the size of the rooms and the number of indoor and outdoor living and dining areas was delightfully generous for a four-bedroom property, and even if it was filled with a group of eight guests there would still be plenty of spots for individuals to lose themselves. This is quite a grown-up villa – possibly best suited to a group of adults - but would also work well for a family despite not being specifically family-friendly. For example, the outdoor area features an extended timber deck around the pool in place of a lawn so even though it is large there’s not a true garden for kids to run around in. The colonial-style furnishings are lovely; the bathrooms are stylish, light and airy, and a TV in each bedroom ensures yet more privacy for folks who want to escape from their companions. Our favourite room was the open-air lounge on the upper level. We also enjoyed our time at the beach (albeit rather a scruffy section of the beach) without hawkers, touts, or overcrowding spoiling the party. And it was just a three-minute walk back to the villa for a shower and a laze beside the pool. Brilliant! At sunset we returned to the beach for a few beers at a small and popular open-air bar. 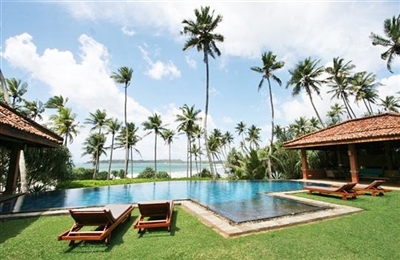 The staff at Villa Kipi are helpful and cheery and while they aren’t the most highly trained of professionals, they know how to make your holiday fun. There is a superb selection of home-cooked delights on the suggestion menu, and breakfast is really good too, especially with the sound of the crashing surf just over the way. What an amazing villa! Everything from the magnificent setting to the food, the service and the comfort are second to none. Lansiya exudes character and personality through artistic touches and an intelligent design, whilst the staff’s warm and discreet nature was of just the right balance to ensure that we enjoyed ourselves but also felt very much at home. 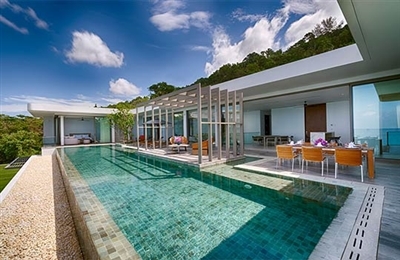 What we really loved about this villa was its spaciousness and its privacy; you can enjoy the superb views without feeling hemmed in by walls as the gardens descend down the gently sloping hillside to the boulders beside the sea. We didn’t hear any traffic noise (what a relief! ); instead there’s the unrelenting sound of the waves – especially loud and sensuous from the master suite. The sun sets almost directly in front of the property and with its generous lawn it would make an incredible location for a wedding or other special event. We loved staying in the Lansiya Hill suite, the most private and exclusive bedroom. It’s a true couples’ hideaway but also perfect for parents looking to enjoy some luxurious private time whilst their older kids occupy Lansiya House (with its cosy TV Room on the ground floor). And we’d certainly encourage honeymooning couples to be decadent and book the whole property exclusively for themselves at just $100 on top of the Lansiya Hill rate. None of Lansiya’s bedrooms has air conditioning, but thanks to the breezy hillside location we didn’t miss it at all. The food prepared by chef Sylvester is top quality; warm date pudding and butterscotch sauce served with afternoon tea was a treat as was our Japanese lunch feast! This passionate chef has 40 years experience in the food industry, learning his craft in Japan, India, Thailand and Europe. We loved that breakfast is different everyday and all bread, sauces, dips and accompaniments are freshly made. There are no menus; you discuss your daily requirements with Sylvester and all meals and soft drinks are included in the price. Our stay at Villa Lulito was a delight on so many levels. From the moment we arrived and were greeted by the staff with cold towels and even colder drinks, and then saw just how lovely the villa is with all its many corners to relax, play and spread out, we knew we were in for a great holiday. We spent a lot of time in and around the pool and were able to follow the arc of the sun all day long simply by moving from sun lounger to daybed. The pool toys also got a lot of use – especially the crocodile – as did the pool lounge and the palm-shaded garden table. During an afternoon tea break up on the first floor balcony, we enjoyed a nosy look out over the roofs and gardens of the other luxury villas in the neighbourhood. The bedrooms were fantastic: mini sanctuaries where one could retire any time of the day, close the curtains, turn on the air-conditioning and have a beautiful guilt-free nap in a really comfortable bed. A big shout out goes to the staff, who were a real delight and took care of us beyond expectations. We happily let them ply us with fresh drinks, fantastic gourmet meals (a special thank you to the chef), lots of useful advice about Bali and big friendly smiles all round. Being in the heart of Seminyak gave us easy access to all the great restaurants and bars that we have been hearing about, and we were able simply to stroll up the street to indulge our passions for all things food and drink, including great coffees and brunches at Sea Circus and Petitenget Café. The burgers at WahWah, right outside the front door, make the best takeaway ever (pricy but so delicious), and as for our delectable dining experiences at Sarong, Teatro and Merah Putih . . . say no more. We especially loved sunset drinks at Ku de Ta. So close! And having the beach less than a five-minute walk away was a dream. We loved Villa Maya, primarily for location, location, location. Majapahit is wonderfully isolated and private – in fact it can feel like you’re the only person on the island. Combine this with regular doses of fresh sea spray and breezes and it’s a great place for clearing the mind. 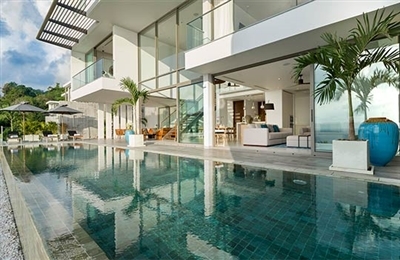 With this in, well, mind, it’s worth paying that bit extra for the absolute seafront Villas Maya and Samudra. The two garden villas behind (Nataraja and Raj), just don’t offer quite the same location value. 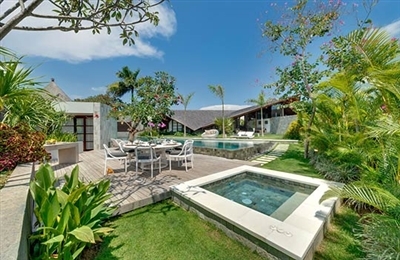 While Majapahit Villas may not be prime position for restaurants and nightlife (with a team of chefs producing gourmet cuisine from Majapahit's professional kitchen, who needs restaurants? ), they offer some unique guest benefits, including a private boat for sight-seeing, fishing and snorkelling trips, and Villa Maya has its very own temple which makes a wonderfully Balinese setting for a special ceremony. Some of Bali's best surf beaches (especially during the East Coast Season – November to May) are within an easy drive, as are the fascinating traditional craft villages of Mas, Sukawati, Batubulan and Batuan, as well as Ketewel and Saba which are both renowned for their elegant Legong dance performances. Aside from location, Villa Maya and co are really just comfortable, ‘liveable’ holiday venues. Let’s call it ‘luxury for beginners’. The staff are genuinely warm and helpful, if a touch over-eager (they tend to hover unless you are quite clear about being left alone); the in-villa chef is quite a dab hand in the kitchen (best spaghetti bolognaise we’ve had on the island to date); and the facilities/amenities are all thought of – including an excellent stock of the latest release DVDs). We loved the fresh, uplifting ambiance of Malaiwana Penthouse, with its modern design and exceptional location. Its cool understated interior contrasts beautifully with the colourful swirl of the lush hillside, aqua sea, and blazing sunsets. Though the Penthouse is set on just one floor within a three-storey residence, we were surprised at how much space and privacy we enjoyed – we didn’t hear or see another soul beyond our group once we were installed at the Penthouse, and we had unfettered sea views. The Penthouse is the perfect place for what we call a full-spectrum holiday: enjoying five-star comfort and service while having the simple, natural pleasures of a tropical island at our doorstep. 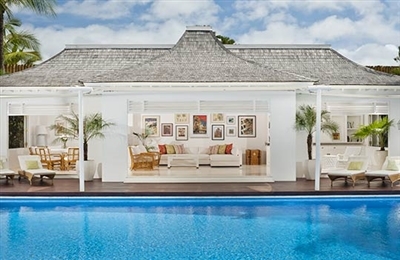 Having an early-morning swim in the pool, then a decadent breakfast served in style and total privacy on the terrace. Later on, a stroll along the sand and a snack of grilled chicken on a skewer from a beachside food vendor. Then back up to the Penthouse in time for sunset cocktails and an elaborate dinner of rich Thai curries, spicy whole fish and stir-fried veggies, all planned the day before with our chef. Finally to bed, where the master suite offers a soft, sumptuous embrace and the promise of more fabulous sea views, just a curtain-peek away upon waking up tomorrow.